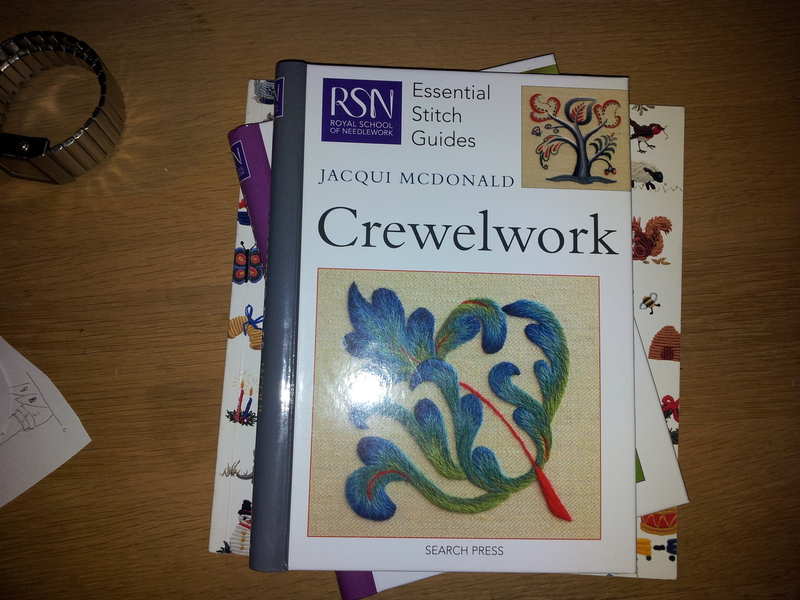 Royal School of Needlework Essential Stitch guides. 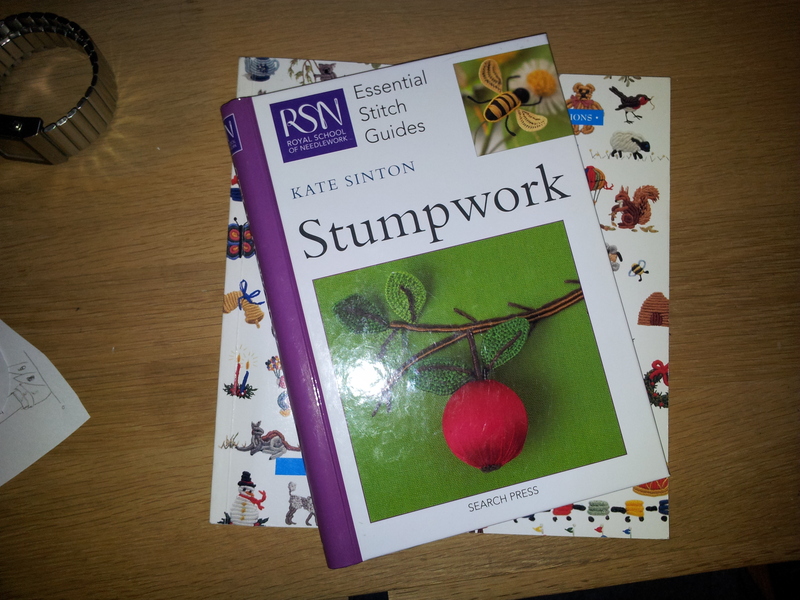 I’ve read them all cover to cover and itching to make some sort of stump-crewel-shaded-hybrid monster. If you know my piece Fly Agaric, you know that I worked that specifically to learn and practice stitches I never did before – so in that I tried satin stitch for the first time, seeding stitch, woven spider webs, long and short stitch (badly) and mastered french knots. 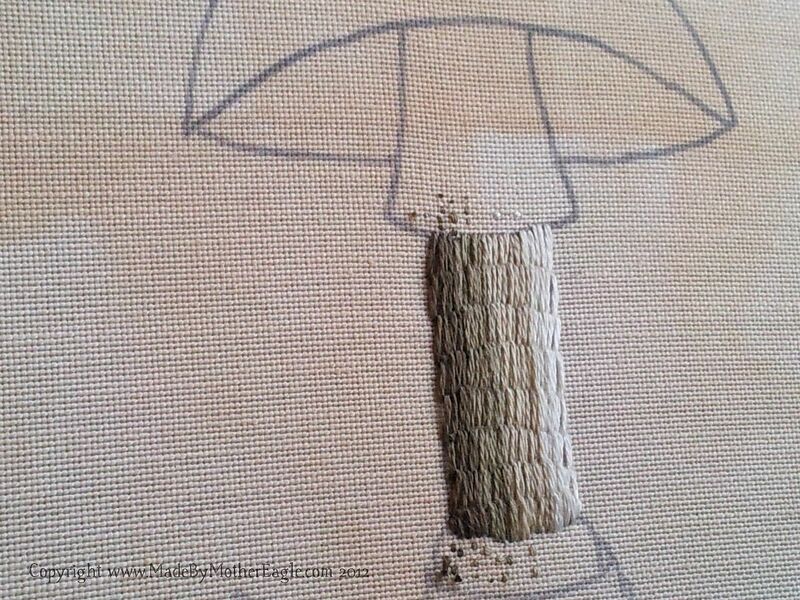 I always intended to create a series of Poisonous Mushrooms pieces to show my development – just like a traditional sampler – so I’m staging a revival. 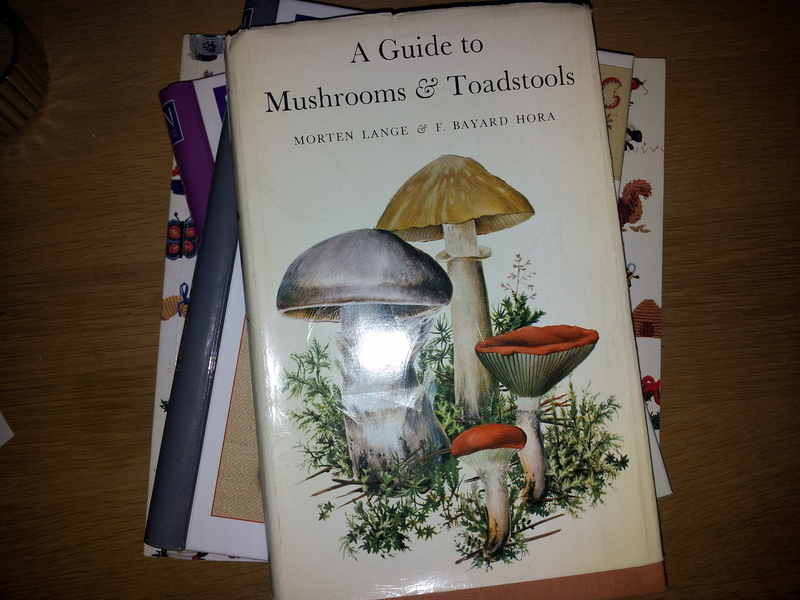 I started off with this fabulous old field guide I found in a book sale last year. Full of lovely hand drawn illustrations. 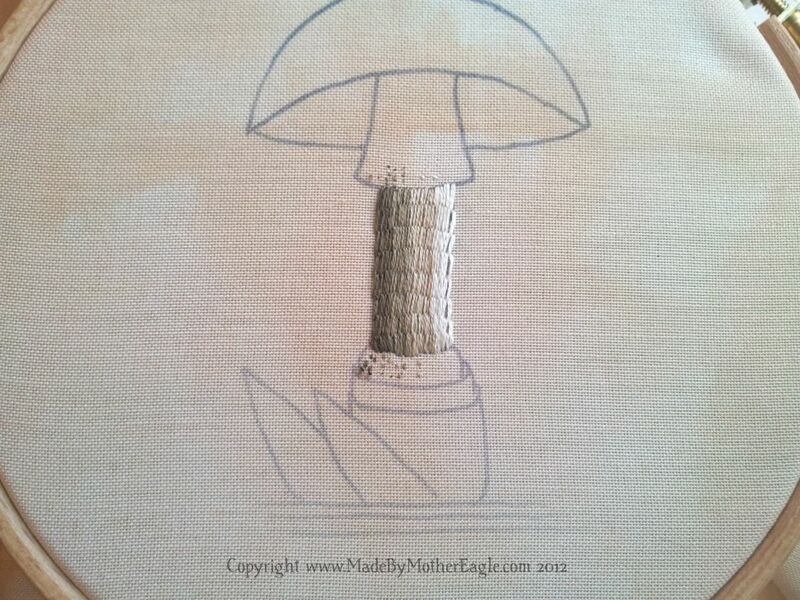 I used my brilliant transfer pen to transfer my drawn design based on the Death Cap but a bit more simple and graphic, to the Salmanca fabric, which I had pre-dyed in tea to make it look a bit like old parchment or something. This bit is raised band stem stitch, very simple and I like the ridges it produces, a bit like a mushroom grows I think. I will blog my progress this week!